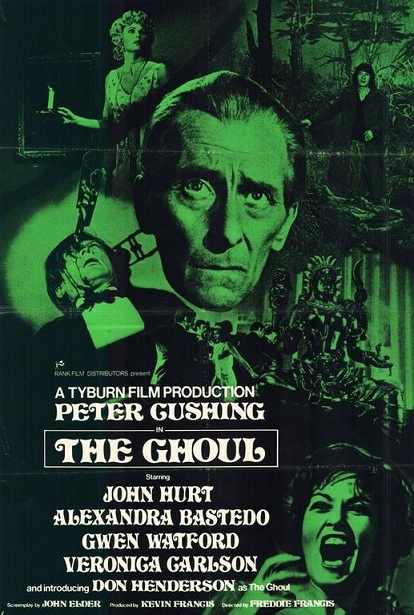 The horror films in the many themed seasons on the BBC, late on Friday and Saturday nights in the 1970s and 80s imprinted on a generation of British horror fans. 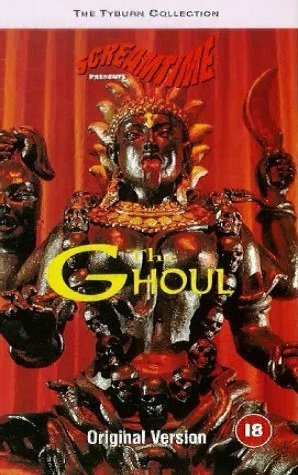 But while many have appeared on DVD and even blu-ray, The Ghoul hasn't been seen since the days of VHS. While Hammer Films are getting restored and reissued, some of the company's rivals haven't been so lucky. 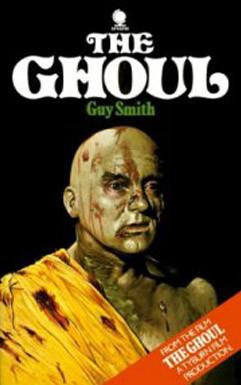 Champion of the Classic Horror Campaign for late-night TV horror double-bills @Cyberschizoid recently reminded me that none of Tyburn Productions' horror films have made it to DVD. I then realised that there are in fact only three! Here's me thinking that Tyburn were a major horror studio, when I've been confusing them with Tigon films all these years. They started producing movies with a splash, when I was first reading horror film magazines, so the name of Tyburn stuck with me. But that opening burst of publicity was pretty much it. Their most famous film is probably Legend of the Werewolf, starring Peter Cushing. Yes it's a werewolf movie, but a disappointing one, despite the great make-up work.. Much more interesting is Persecution (also 1975), starring Ralph Bates battling against his domineering mother (elegantly played by Lana Turner). World of Horror #4 photos made this a must-see! While set in the 1920's, this has less of a period feel than the Hammer films and aligns itself closer to contemporary horror with a variety of shock tactics and a far stronger heroine than Hammer usually managed. Veronica Carlson's character was relatively soppy in Frankenstein Must Be Destroyed, but here she's braver and more independent. 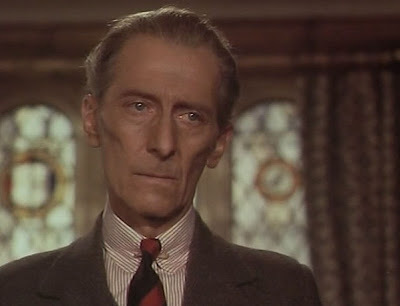 Peter Cushing is also allowed a role with more emotional depth than allowed him in Hammer films, with an uncomfortable-to-watch level of grieving, parallelling the actual loss of his wife. 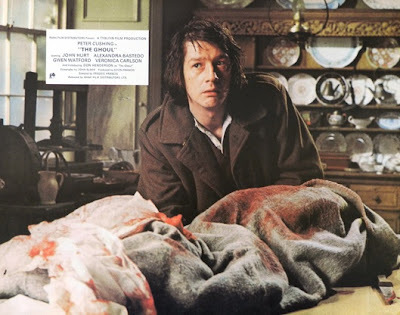 The cast also boasts John Hurt, in an early role (a few years before Alien) as a feral, scheming handyman. It's a treat to see him spark fireworks off Cushing. 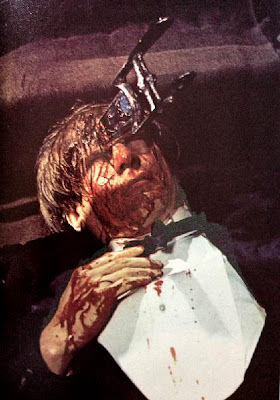 Freddie Francis is often mocked for his worst horror films as a director. But his strongest films are definitely strong, like this one. It's fun to see him reprise the meathook gag from Trog, though he later seems unsure as to how to stage, prolonged frenzied violence. Also very welcome in the cast, Alexandra Bastedo (wishing she had her superpowers from The Champions) and Ian McCulloch (wishing he had a rifle from Zombie Flesh Eaters). 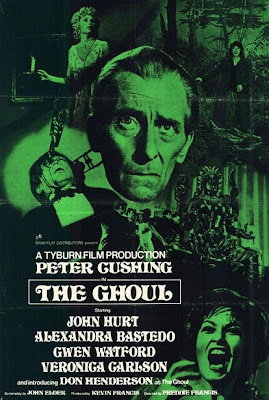 Rare photos (some are definitely spoilers) and the brief history of Tyburn films over on the extraordinary Peter Cushing fansite - The Black Box Club. Don Henderson would play two more cannabalistic palid freaks in loin cloths...he was the voice of The Fleshlumpeater and The Bloodbottler in the cartoon film of The BFG. Mark, more evidence of what i`m talking about, "The Ghoul" was one of the last gasps of greatness for the British film industry in the mid-70`s before the rot started to set in, once again, i rest my case. This has been shown on tv in recent years..in the US.. but I'm sure it's been cut to ribbons!..I only remember bit and pieces of it.